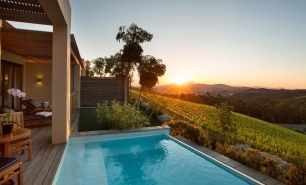 The beautifully designed and landscaped Delaire Graff Lodges and Estate is located at the top of a mountain pass in Cape Town’s leading wine making region between Stellenbosch and Franschoek. 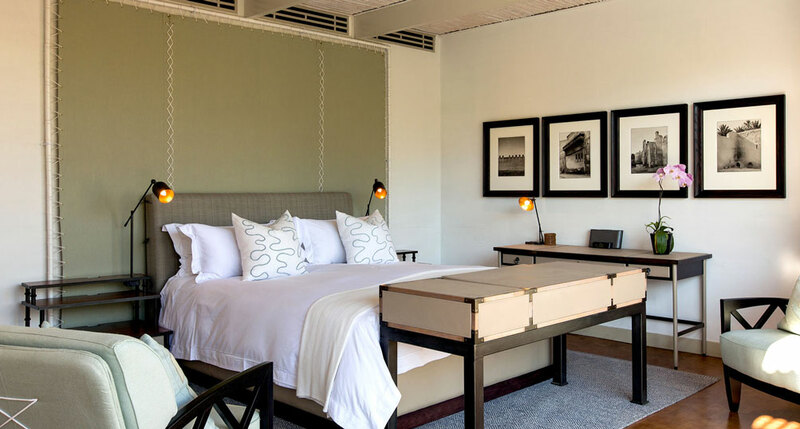 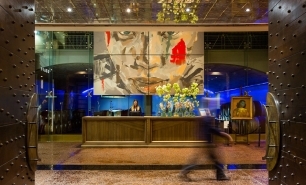 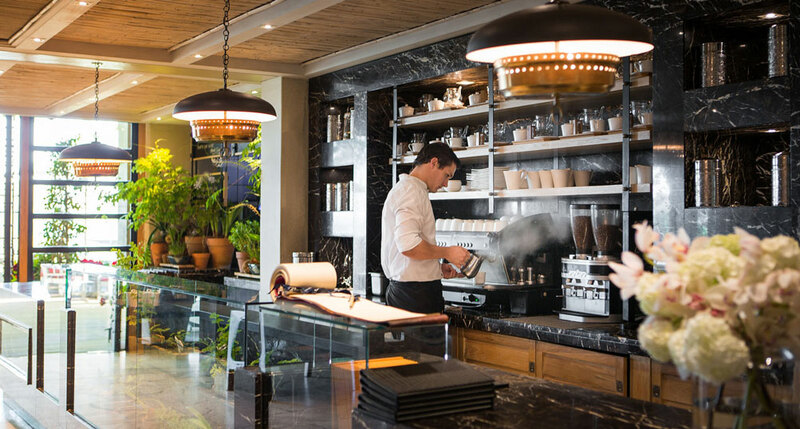 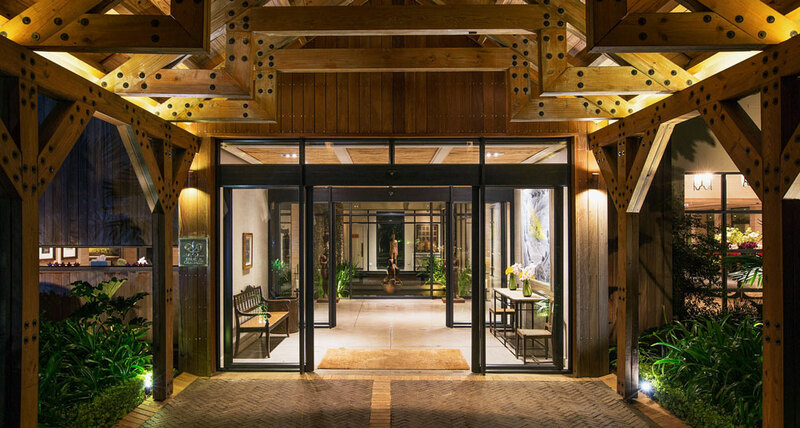 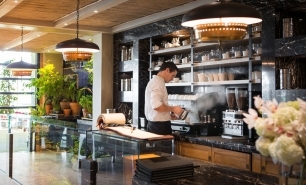 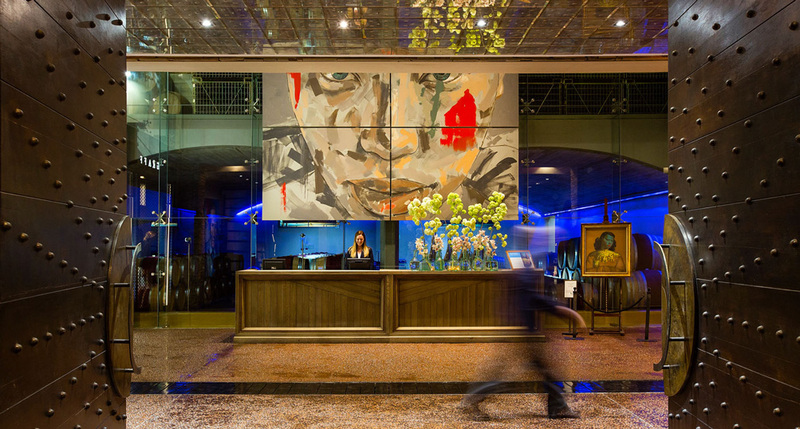 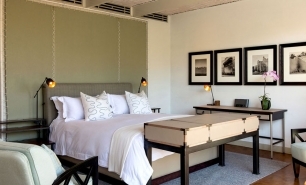 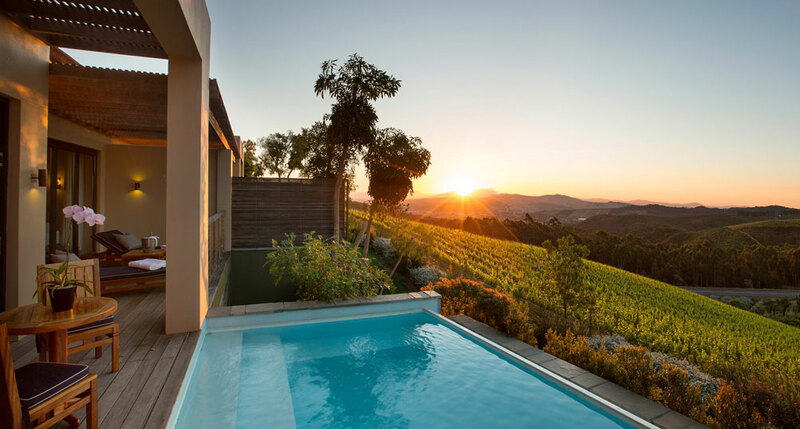 The location, design, and dining options are magnificent, making it most likely the best accommodation for a visit to Cape Town’s leading wine regions. 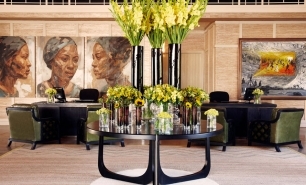 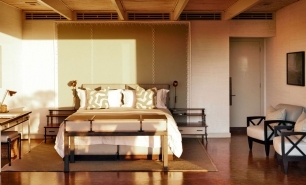 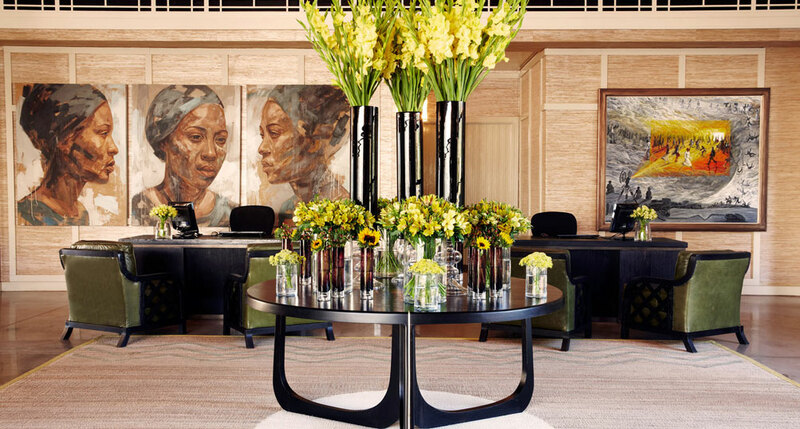 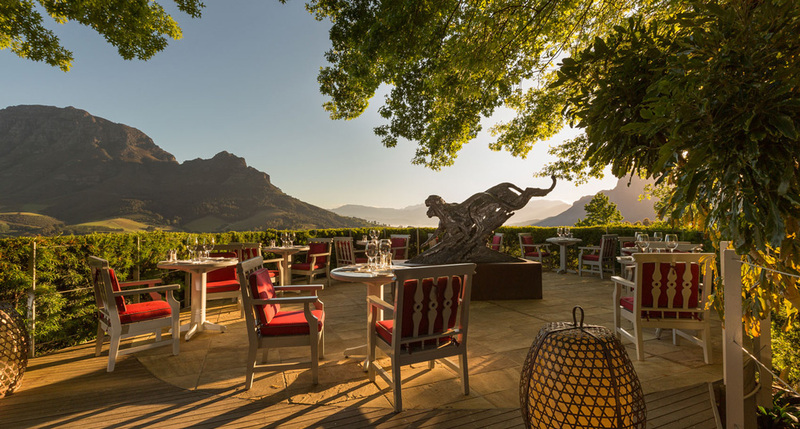 The Delaire Graff Estate is owned by the globally renowned Laurence Graff, Chairman of Graff Diamonds International, who acquired the property in 2003 and transformed it into one of South Africa’s most beautiful leisure destinations. 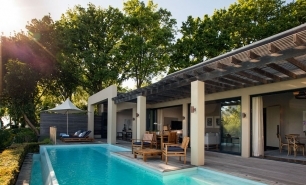 Delaire Graff Lodge has ten beautifully decorated lodges including four single bedroom garden facing Delux Lodges, four single bedroom vineyard facing Luxury Lodges (80sqm), and a two bedroom vineyard facing Presidential Lodge (130sqm) and the Owner’s (130sqm) Lodge. 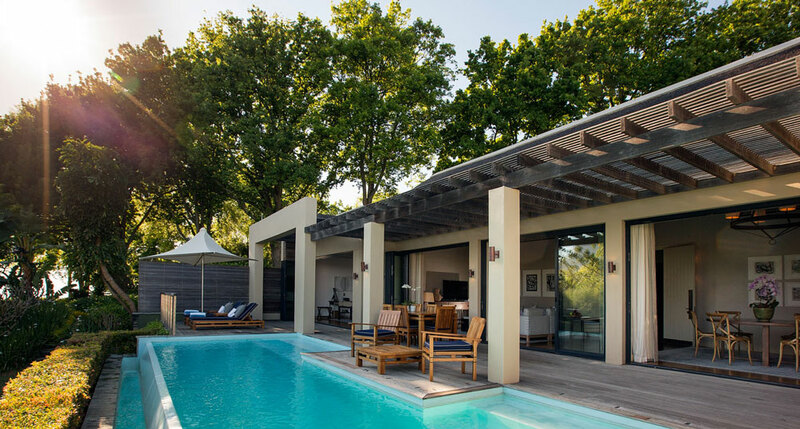 The lodges come with their own private plunge pools and views of the Estate gardens or the Stellenbosch Valley, Simonsberg Mountain Range and Estate vineyards. 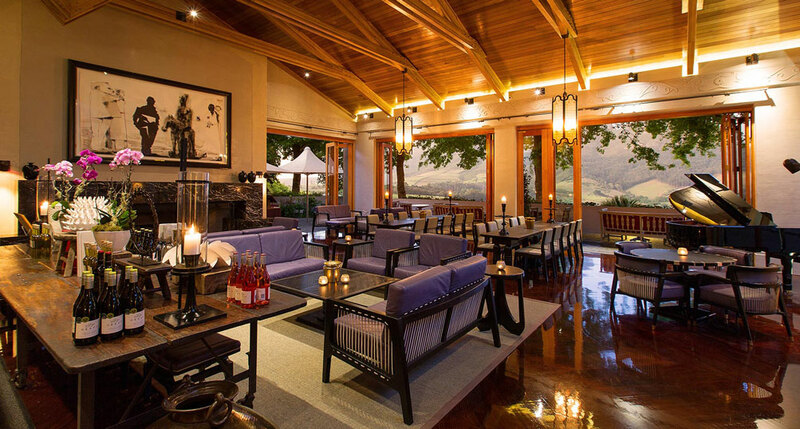 The Owner’s Lodge boasts a beautiful log fireplace. 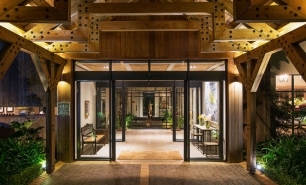 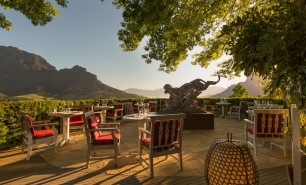 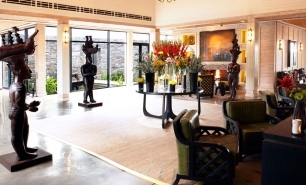 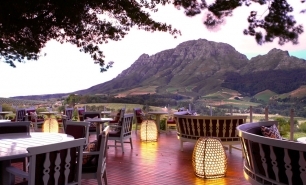 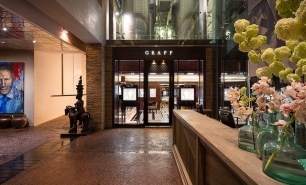 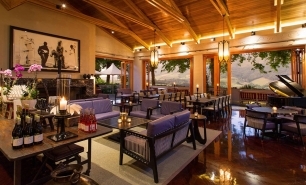 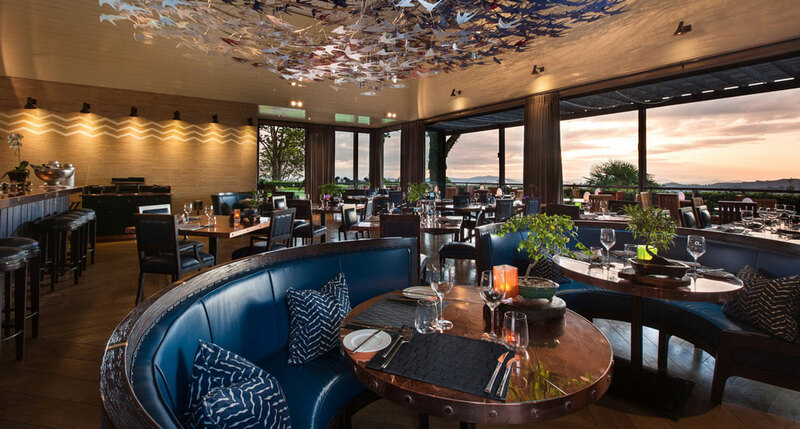 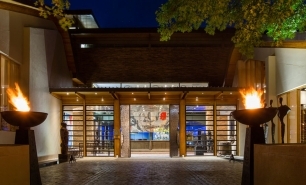 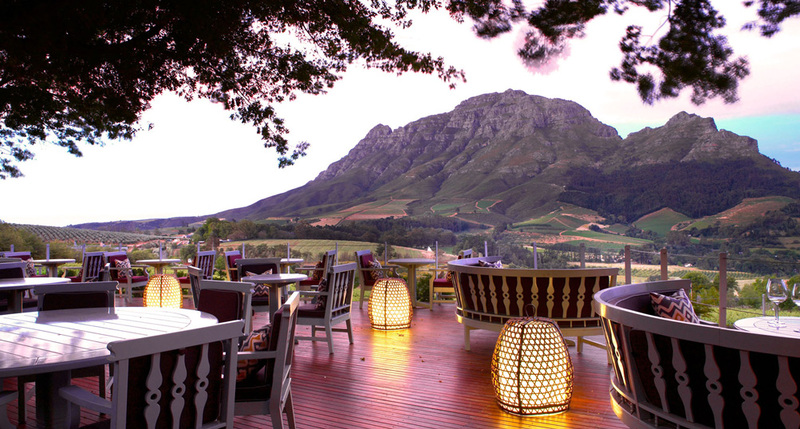 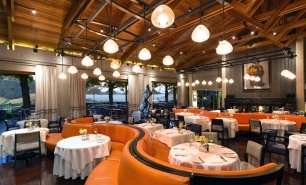 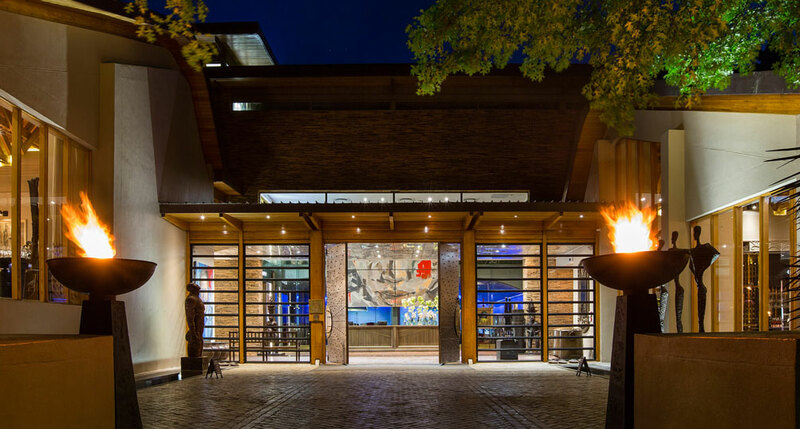 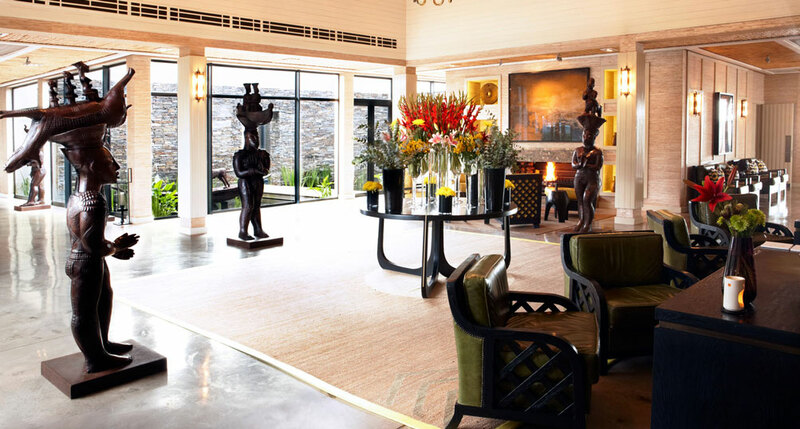 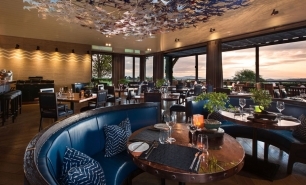 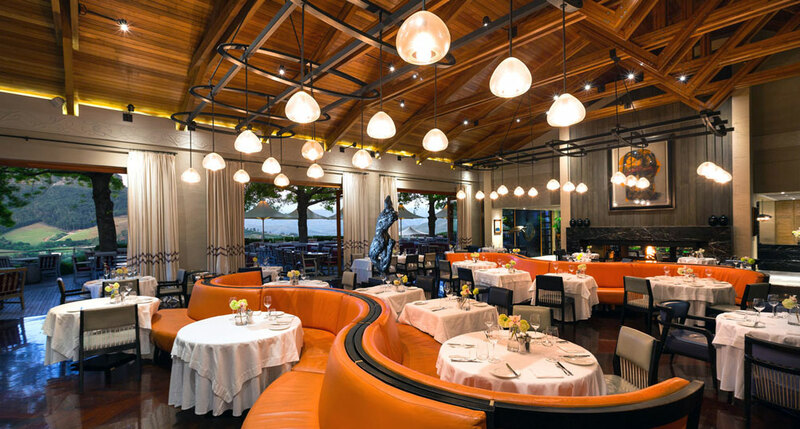 Graf Estate has two excellent restaurants (Delaire Graff and Indochina), a wine tasting lounge, and a state-of-the-art winery, both of which overlook the vineyards and mountain ranges of Stellenbosch. 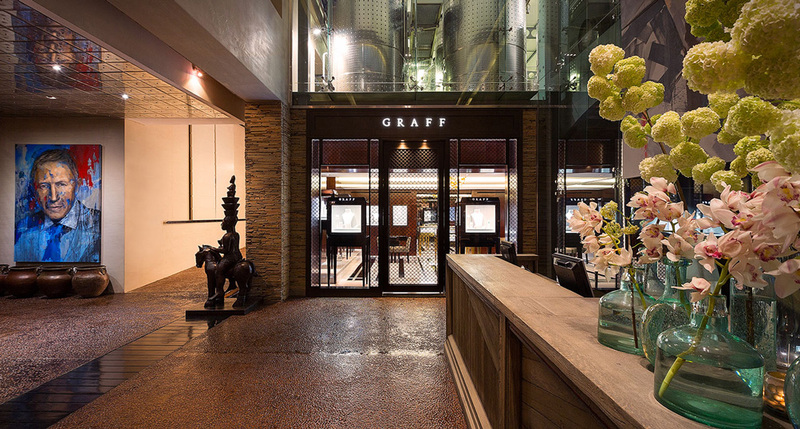 The estate has a spa and two luxury boutiques, one with original Graff diamond masterpieces.